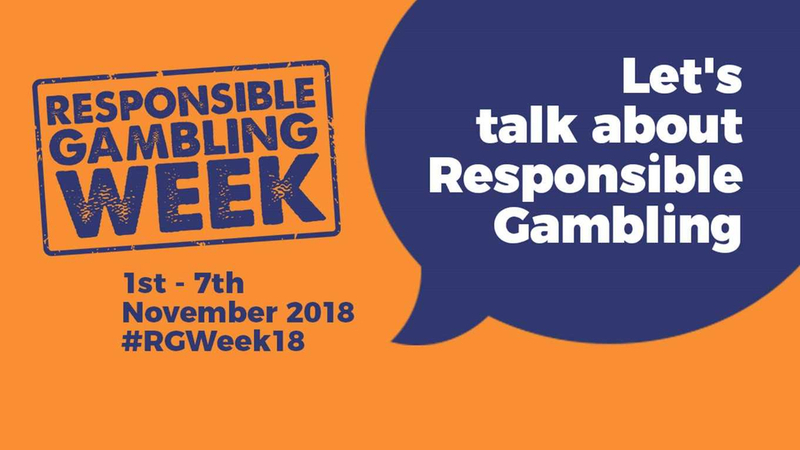 November 1st - 7th sparks the inaugural Responsible Gambling Week. This will be an industry wide campaign running to try and inform and educate people into what it actually means to gamble responsibly in all forms of betting. The Winners Enclosure are proud to be promoting such a widely needed event in gambling, as people that do gamble don't understand the precautions you need to take to know when to stop. Throughout the Responsible Gambling Week we will be using our social media platforms to help educate our followers on how serious it is to be able to gamble responsibly and we will be detailing the five key ways you can go about doing this. The event is being run by the Industry Group For Responsible Gambling and they are involved with all different aspects of the gambling industry, whether that be from arcades or bingo clubs to casinos and all the different bookmakers. This campaign is also supported by over 800 bookmakers and a lot of other gaming and gambling commissions in the United Kingdom and Ireland. More than 127,000 staff across over 11,000 gambling venues and online sites in the UK and Ireland will take part in Responsible Gambling Week. This is all in order to spread the message across the different countries and get across the slogan: ‘Let’s Talk About Responsible Gambling’.